Associated with traits such as integrity, tenacity, and elegance, bamboo makes a fitting choice for the ornamentation of this samurai katana. The Golden Bamboo Katana comes with a hand-carved and painted bamboo scabbard. The tsuba displays additional flowering bamboo designs. 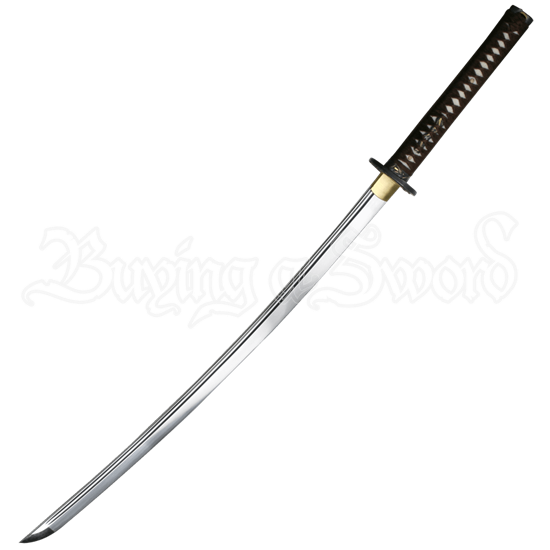 This high carbon steel sword has been tempered in Japanese clay and features a fuller. The handle is made from real ray skin and wrapped with brown fabric. This functional katana comes with a certificate, sword bag, and cleaning kit, ensuring that this oriental blade will be just as appealing to collectors as swordsmen.